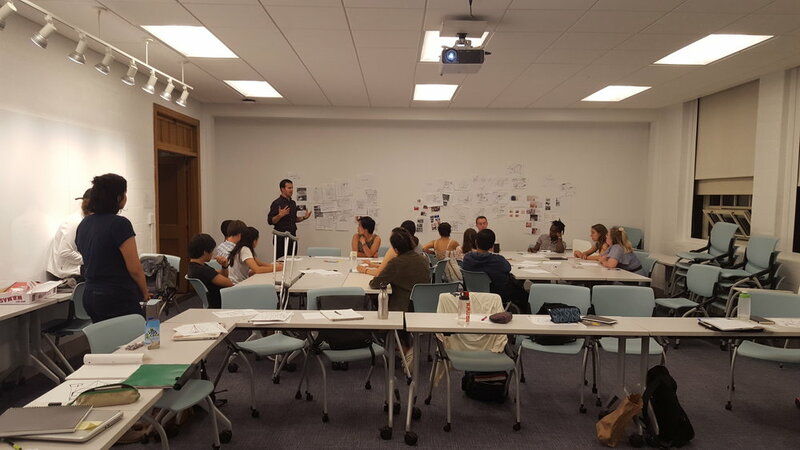 The first class of the semester kicked off with a foray into the world of industrial design by Ximedica designer Tom Lutzow! Students worked in groups to understand patient primary care experiences before, during, and after a medical encounter. From there, they were able to mindmap and create a series of solutions from opportunity areas identified by the group. We look forward to seeing what students uncover as they begin to conduct research within their specialty tracks in Emergency Medicine, Neonatal Intensive Care, Surgery, and Dermatology! 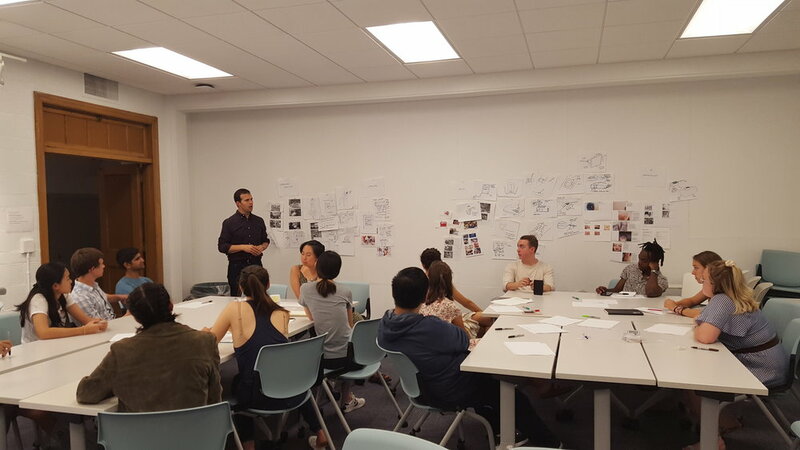 This week students were exposed to rapid visualization and ideation techniques with a workshop facilitated by industrial designer Michael Park from Ximedica. Specialty track research is under way and students are starting to venture out into various clinical spaces at Rhode Island Hospital, The Miriam Hospital, and Hasbro Children’s Hospital! 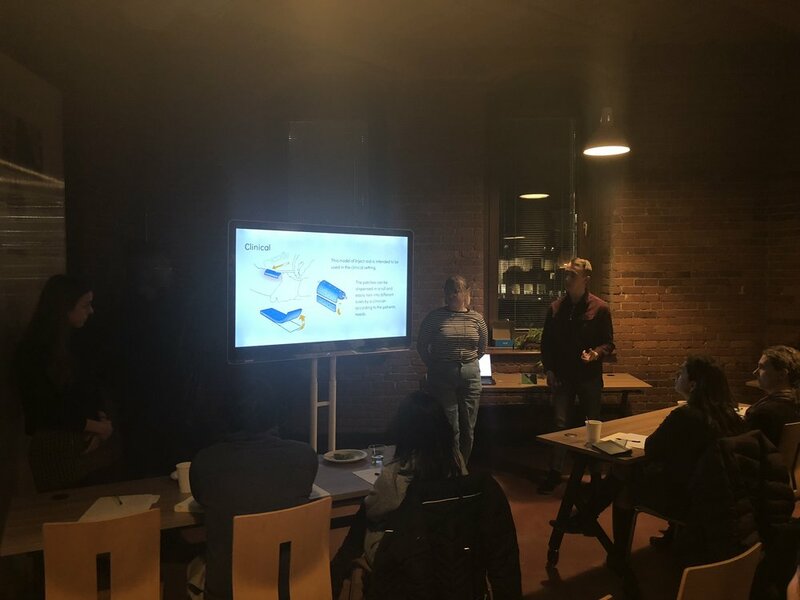 This week week students learned about healthcare innovation and the state of the industry. Featured speaker was Aidan Petrie. In addition, students had the opportunity to work on redesigning the hospital gown! 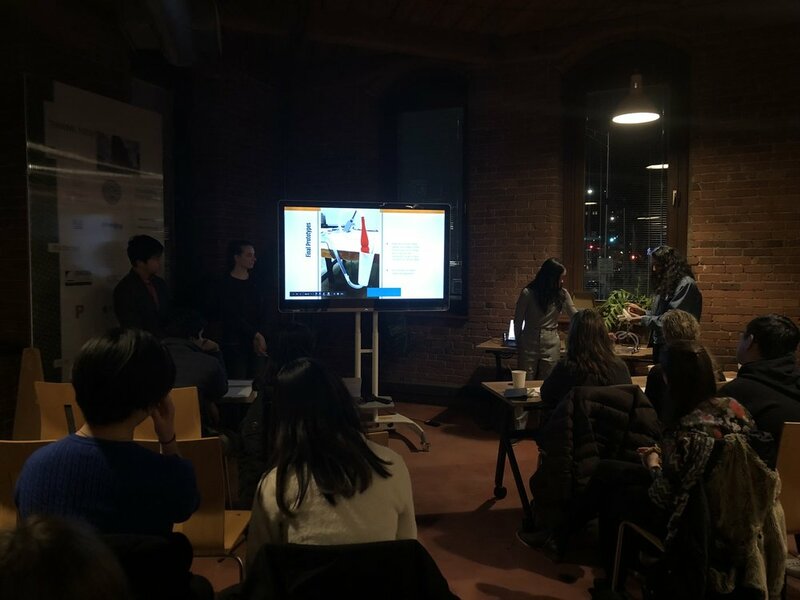 Elizabeth Roche, Director of Research and Strategy at Ximedica, gave a talk about empathy, Design thinking and core qualitative research methods. 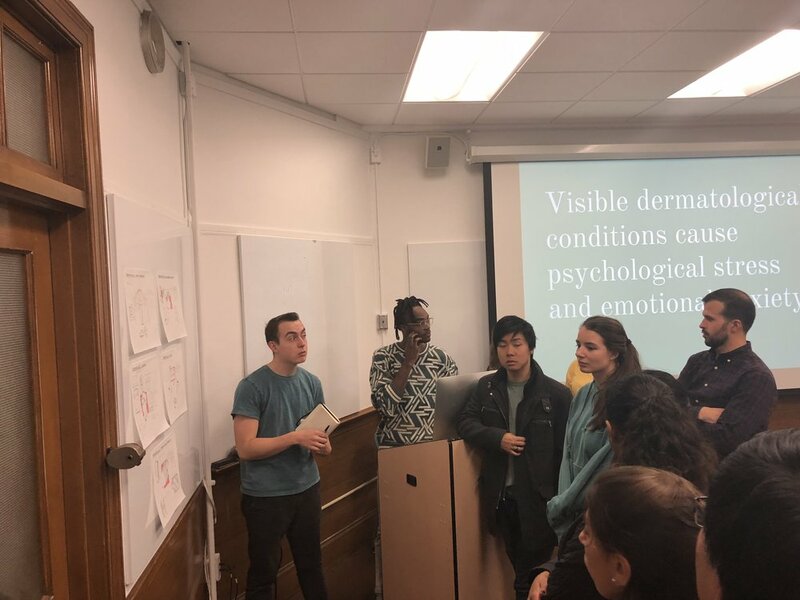 The second part of the class consisted of student presentations of what they have noticed so far in their clinical spaces and avenues for future investigation. Groups met at the Alpert Medical School to discuss their projects and to develop Opportunity Statement drafts. Students worked on evaluating and ranking observational insights using post it notes, push pins and sharpies and then sorting them into areas based on 1) benefit to user, 2) impact to healthcare and 3) value opportunity. This week, students had the opportunity to visit Ximedica (field trip!) to work on concept generation. 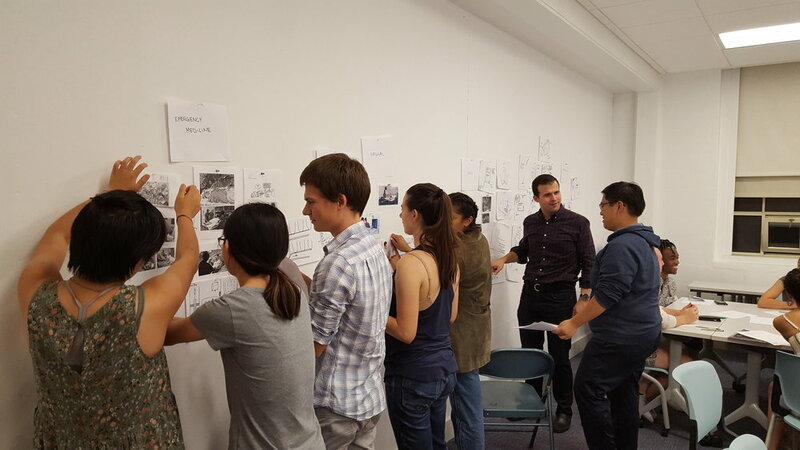 Students worked on refining problem statements, identifying user group/conditions, and additional supporting context for example ergonomic/usability issues. Each group shared 5-8 refined concepts the value they provide to business of healthcare and to users and patients. This week students learned developing evaluation criteria and the down selection process. 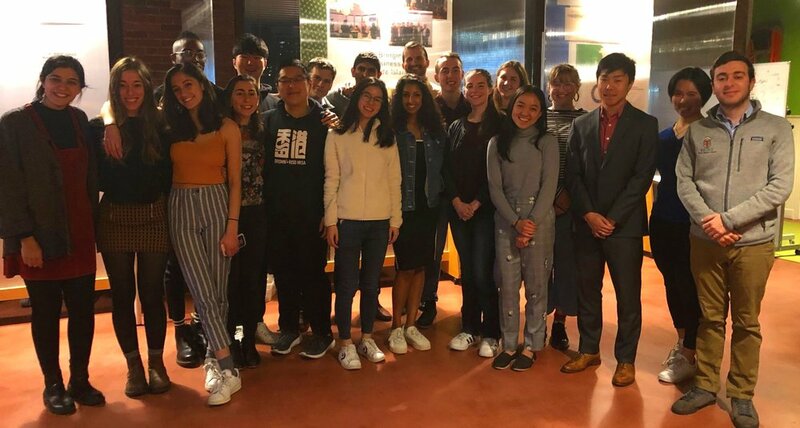 To conclude the semester, students presented their projects at the NEMIC. 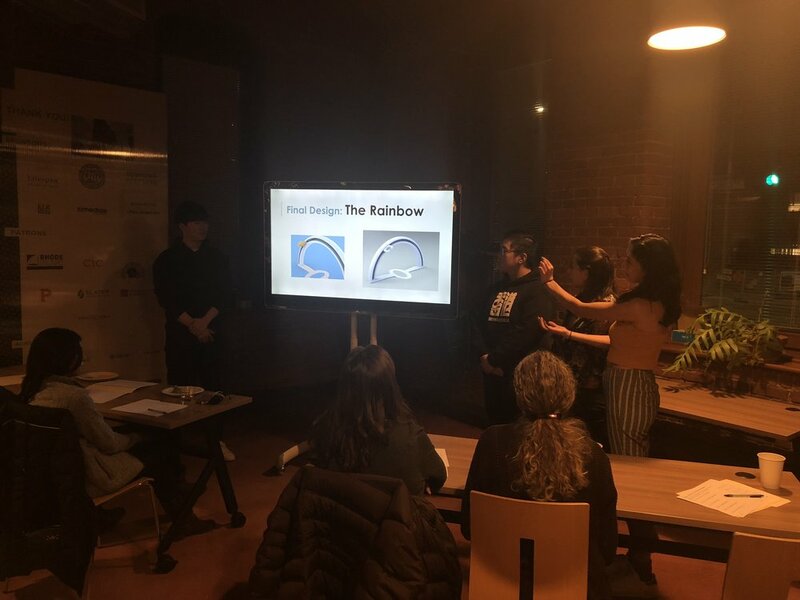 Each group presented their solution deck and the projects were evaluated by a panel. 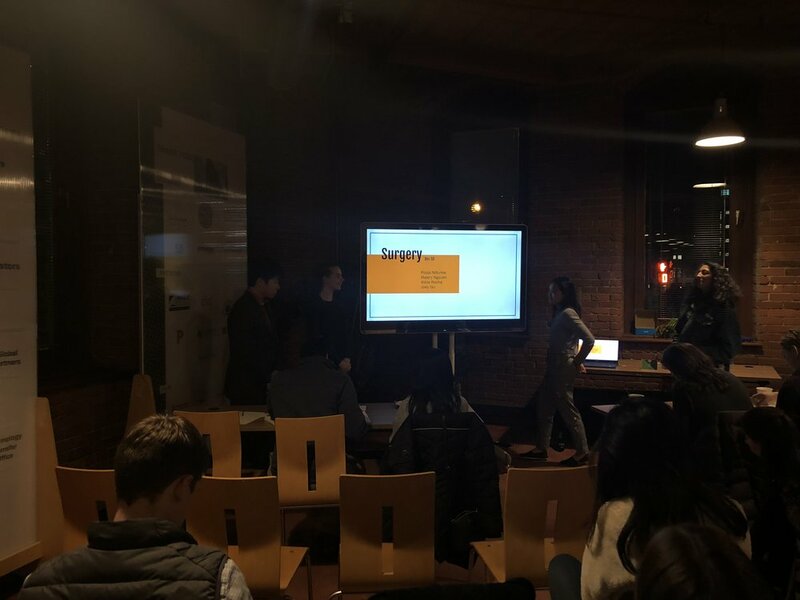 Presentations included a summary of user insights, final concept, and supporting prototype.